How does the released version of this shoe differ from the initial sample? 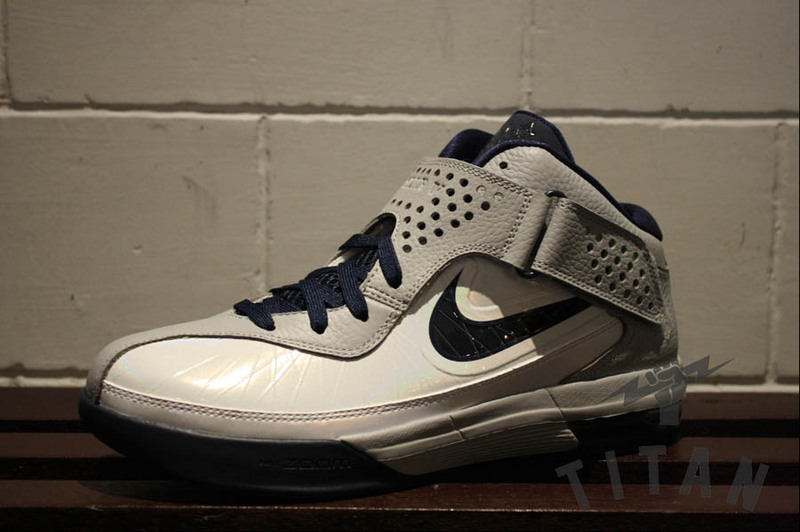 Holding you down between the LeBron 8 and LeBron 9 is LeBron James' signature sneaker for the summer of 2011, the Air Max Soldier V. Featuring Max Air cushioning in the heel and Zoom in the forefoot, the Soldier V offers 360-degree support with the use of Flywire technology and an adjustable strap that wraps around the foot. Other features include a plush foam-padded collar, Phylon midsole and herringbone traction pattern outsole. This Soldier V features a white Flywire-embedded synthetic upper, with Wolf Grey tumbled leather working the heel, upper ankle and adjustable strap. 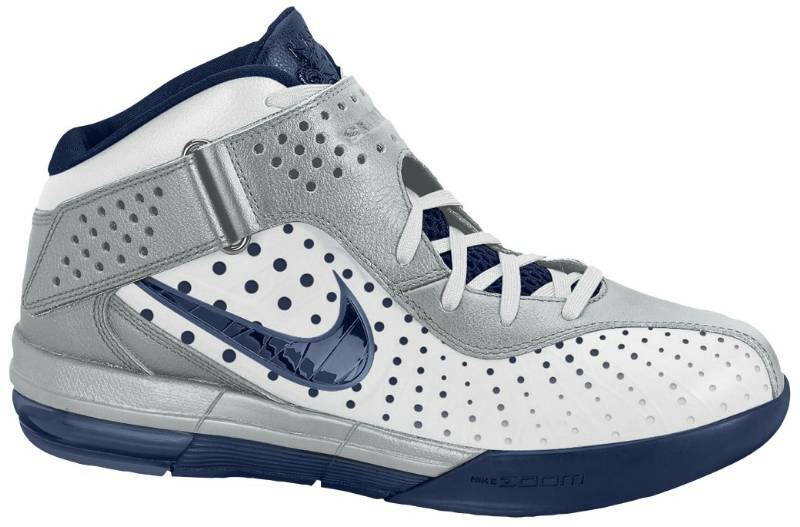 Hits of Midnight Navy appear on the tongue, inner liner, Swoosh and outsole to cap off the look. As you can see from the image below, the released version greatly differs from the early sample. Noticeable differences include metallic silver in place of grey, large perforations throughout the upper, changes in the midsole blocking and a set of white laces. You can buy the final version of this Air Max Soldier V at Titan and Eastbay today.